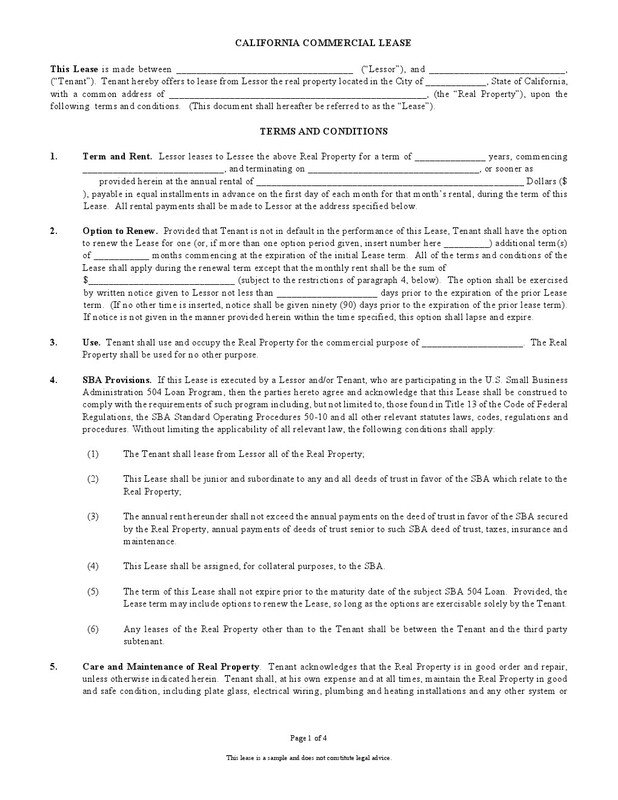 Commercial Lease Agreements are legal documents which are used when leasing a commercial property. These agreement templates are mostly used when leasing or renting commercial properties such as shops, parking space, showrooms etc. 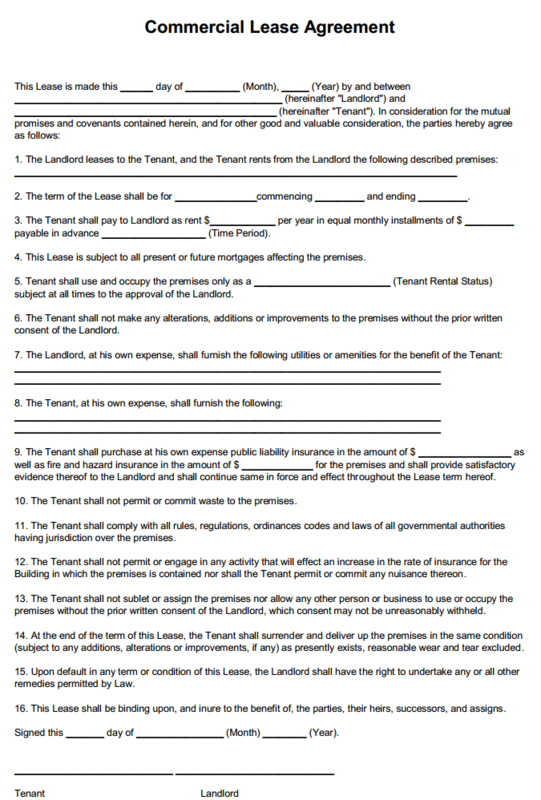 Some states may require you to have state specific lease agreements which you may find from the list below.